Lot’s and lots of people are starting to get into blogging. Their reasons are numerous and varied. It’s been said running a good and popular blog can be one of the most helpful things a person can do to promote themselves and or their business online. Other’s blog as a hobby. They have an interest, a subject, that they care about and they want to share with others their passion. Still others blog because they are angry and have something they want to say about politics, government, society, their school, sports, television…the list goes on and on. 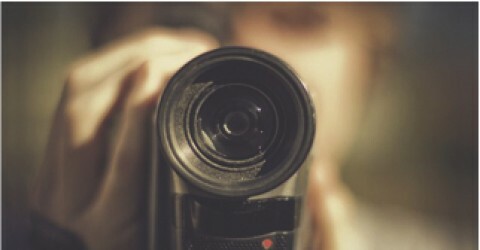 And a very common form of blogging is to share pictures, photos or drawings or paintings. No matter the motivation of the blogger as a consumer of blogs, and you are a consumer of blogs because you are reading this, you have a responsibility to help the blogger out. You are responsible for making the blog exist just as much as the blogger themselves. What’s amazing to me is how few people will actually extend themselves the tiniest fraction and help out another human being. To be honest, it’s very disturbing and disappointing to me. I’m going to presume people don’t know how or why they should help out a blogger to explain why so few actually do, rather than believe there is a presiding indifference for the well-being of your fellow-man; you’re fellow-man (or woman) who happens to “blog” about subjects that interest you. more than 346-million people read blogs and there are over 900-thousand blog posts every day. That’s 384 people per blog post. That’s a lot of blogging and a lot of readers. And please keep in mind it doesn’t matter if you don’t read blogs (when in fact you do. Again, you’re reading this aren’t you?) blogs wouldn’t exist were there not an audience for them. YouTube or elsewhere. Even if all your internet friends only amount to your boyfriend and your dog (whose page you created yourself, so they wouldn’t even count). You are still helping the blogger by putting a link to their work elsewhere on the internet. 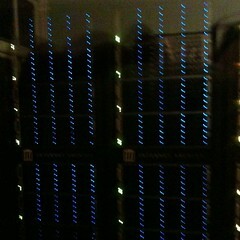 This helps search engines find their blog. In clicking the Share button or “f” button or “little bird/Twitter” button you need not offer any commentary to your post. But if you feel compelled to comment in some way you don’t need to say anything dramatic or that might embarrass you or reveal something about you that you don’t want revealed. You can simply comment “Do you find this interesting?” or “I thought some of you might like this.” or “…find this interesting?”. Again, at minimum you are creating another link. At most you are driving people to the blog and the blogger all of whom may drive more people to the blog or blogger. See how easy that was? The next thing you can do is offer a comment to the blog. Once again you don’t need to type something that reveals too much about yourself, if you are concerned about doing so. I know a lot of people are. Me? Not so much. It’s really not a concern of mine. I’m pretty open. And I’m pretty comfortable offering my opinion. What makes me different from many is I am perfectly comfortable being wrong, if and when I am. It kinda stems from my favorite book from my young adulthood. 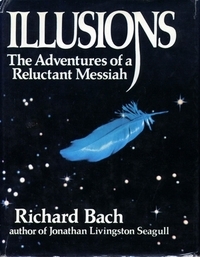 In “Illusions-The Adventures of a Reluctant Messiah” the author Richard Bach weaves a philosophical tale about a person once worshipped as a messiah who didn’t want the job of messiah but still possessed all the power and wisdom that came from being a messiah. In the end after filling the reader with tons of wonderful and sometimes radical concepts the book famously ends with these words, “Everything in this book may be wrong”. It’s always stuck with me as brilliant. It seems to me the concept derived from such language in the book is: have fun, do your best, do what YOU truly want to do and don’t take yourself too seriously because you could be wrong. That’s why I always encourage comments on my blogs. Each blog ending with these sentences: “Thanks for visiting. Comments are welcome.”. Comments are fun for me and for most bloggers. It shows someone actually took the time to read/view that which they took time to author. Writing for yourself is boring AND frustrating. I had a blog site prior to this existing one, MSchuett Blah blah blah. I quit posting to it after a year or two because it’s platform had no means of telling me how many people actually visited the site. All I had were the occasional and rare comments. It began to seem I was my only audience. So comment. Let the blogger know you disagree, dislike, like, or agree with their work. It only takes a moment and is completely pain-free. I promise. I would add that these observations concerning blogs also extend to social media. How are you hurt by “Like-ing” a friends Facebook business page? You aren’t. You know you CAN Hide their posts from your Wall and never be bothered with them again after you “Like” the page, if that’s what you choose. In the mean time I guarantee your friend appreciates you adding to their Like total. Comment, Like, Share, Re-Tweet posts, articles videos, Friend, Subscribe things that you see from your friends. It’s all helpful, they appreciate it, and you are not hurt. In fact you are enhanced by doing so. Life is a participation sport. So participate. Quit with the voyeurism. I thank you. My customers thank you. And those who you will be expanding their knowledge and interest will thank you. Or maybe they won’t…like too many who don’t help the bloggers of the world. Come on. Help ’em out.